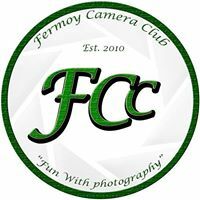 The aim of the Fermoy Camera Club is to provide a friendly and supportive forum for member’s interests in photography, whether beginner or experienced. To enjoy Fermoy Camera Club, all you need is an appreciation of photography and enthusiastic approach to participation at meetings and events. The club meet twice a month and have a competition each month based on a specific theme. We also have a photographer of the year leader-board and many other events and outings etc. The clubs ethos is all about having fun with photography and to provide an association of like minded people to enjoy, share and advance our photographic skills, to encourage photography within the community and to use photography to the benefit of the community by providing pictorial records of the community, its people and events and its environs.